The mouth diaphragm, considered by many the ultimate call, leaves the hunter’s hands free to shoot. Usually a hunter will cup a hand and put it next to his or her mouth when using this call. With a gobbler in close, the hunter needs more calling to bring the tom into gun range and generally will opt for the mouth diaphragm. The slate or friction call requires the hunter to move his hands during the process of calling. 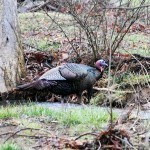 However, many turkey hunters believe the slate has magical properties. In some locations, the quality of the sound produced by this instrument seems more seductive than the tunes played by the mouth diaphragm or the box call. To hide the hand movement of a hunter using a call, avid turkey hunter Allen Jenkins uses a portable blind. 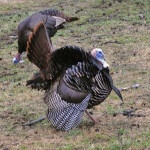 “By setting-up a portable blind, I can work a gobbler with my box call, even when he stands only 12 steps away,” Jenkins says. 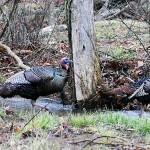 “However, when a gobbler comes in close enough for me to take, I won’t have my call in my hands anyway. Hunting with the box call does give the hunter an advantage. Most hunter don’t use box calls as much as they do the mouth diaphragms. Many times I think hunters overcall with mouth diaphragms. When you use a box and have the turkey close, put the call down, and get that shotgun up. 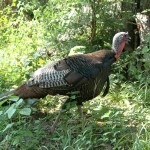 Hunters utilize tubes to call close by turkeys. 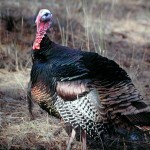 But most of the sportsmen who work tube calls use them primarily to make turkeys shock-gobble from long distances. Also remember, a hunter can call so loudly on the tube call that he’ll scare away the tom he hopes to bag. The hunter can hold the push button call with the same hand that holds the forearm of his shotgun. By simply moving his index finger, he can give a light cluck or a yelp and bring an old bird to within gun range. Or, some push button calls can be velcroed onto the forearm of a shotgun. To decide which call you like best, rank the calls based on how easy you find them to use, and whether you call turkeys with them. 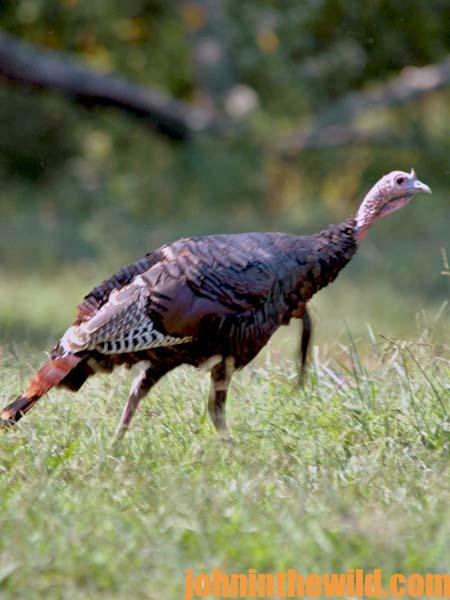 Almost every call has the ability to bring in a turkey. But think about whether you like a particular call or feel more confident with it. Many people consider the push button the easiest turkey call to use with the box call, the slate call, the wingbone call, the mouth diaphragm and the tube call following in degree of difficulty. If possible, carry a variety of calls with you into the woods to hunt bronze barons. 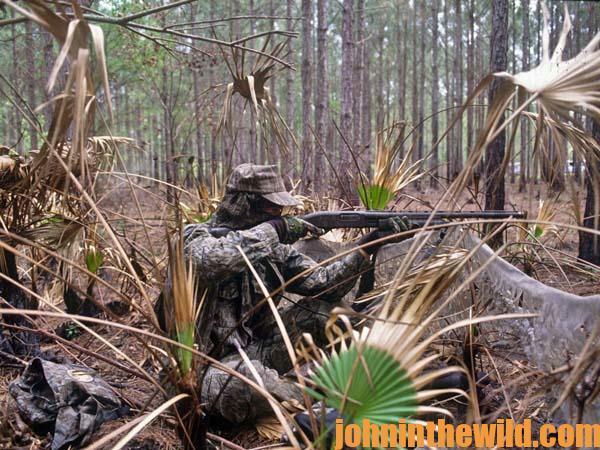 Unlike our ancestors who first landed on these shores and found plentiful turkeys everywhere, you may have to use every call in your arsenal to lure the gobbler into your sights before the end of the day. 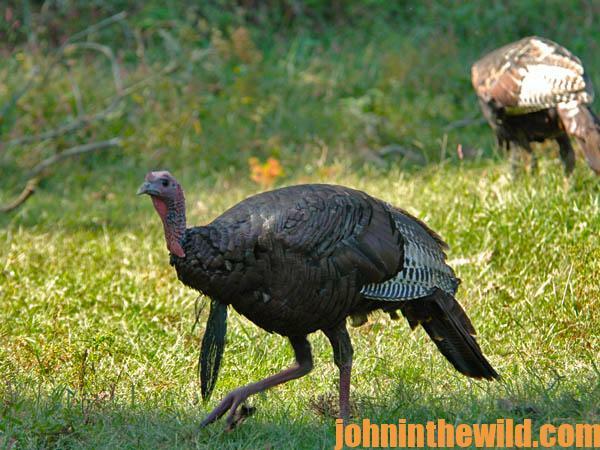 To get John E. Phillips’ eBook “PhD Gobblers,” click here.